Loan and lease originations at Santander Consumer USA's Chrysler Capital unit climbed in the third quarter as talks with Fiat Chrysler Automobiles about the automaker's plan to create its own finance arm continue, Santander said last week. Loan originations through Chrysler Capital rose 34 percent to $2.4 billion, and Chrysler Capital lease originations surged 73 percent to $2.9 billion, Santander said. FCA CFO Richard Palmer said during a June presentation near Turin that the automaker had begun discussions to buy Chrysler Capital, the private-label unit it formed with Santander in 2013. He said buying out the channel could add $500 million to $800 million in incremental pretax earnings to FCA's balance sheet within four years. FCA executives are "continuing to assess their plan and their alternatives to form a captive finance company in the U.S.," Santander CEO Scott Powell told analysts. Santander's average penetration rate for FCA loans and leases was 31 percent in the third quarter, marking the second straight quarter above 30 percent but still broadly missing the 65 percent mark it aimed to reach by the end of April, according to a filing with the Securities and Exchange Commission. Santander financed 1.68 million FCA units in the third quarter, up 6.3 percent from the year earlier. 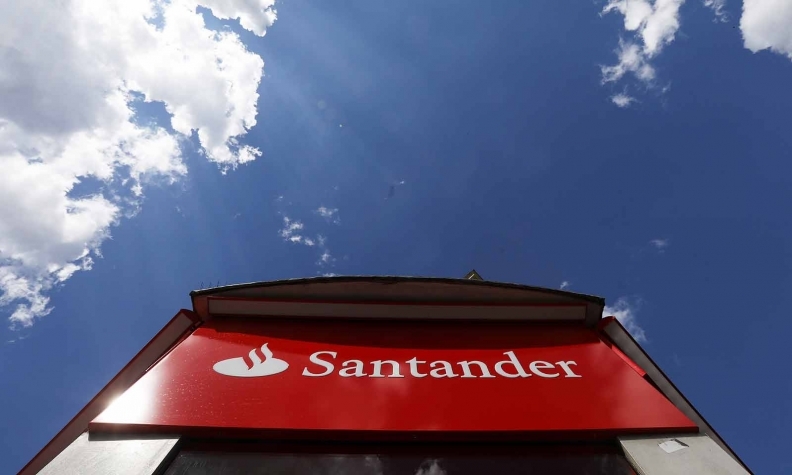 Santander's non-Chrysler Capital loan originations climbed 49 percent to $2.3 billion. In 2013, Santander signed a 10-year financing contract with FCA that remains in effect. "There is no way to unilaterally terminate that contract," Powell told investors in June. An equity option agreement gives FCA the right to buy Chrysler Capital at fair value, Powell said. Conversations with FCA have revolved around that agreement, Powell added, not whether Santander is meeting requirements spelled out in the financing contract. Even if FCA eventually establishes its own captive, Powell said last week, "Chrysler is going to be an important partner of ours in some way, shape or form for many, many years to come." Outside of Santander's Chrysler business, the lender is focused on growth in nonprime financing, Powell said. "We're very positive about those opportunities with the continuation of the Chrysler contract or a change in our relationship with Chrysler," Powell said. "We feel pretty positive about where we're headed as a business and quite optimistic about the future of this business."